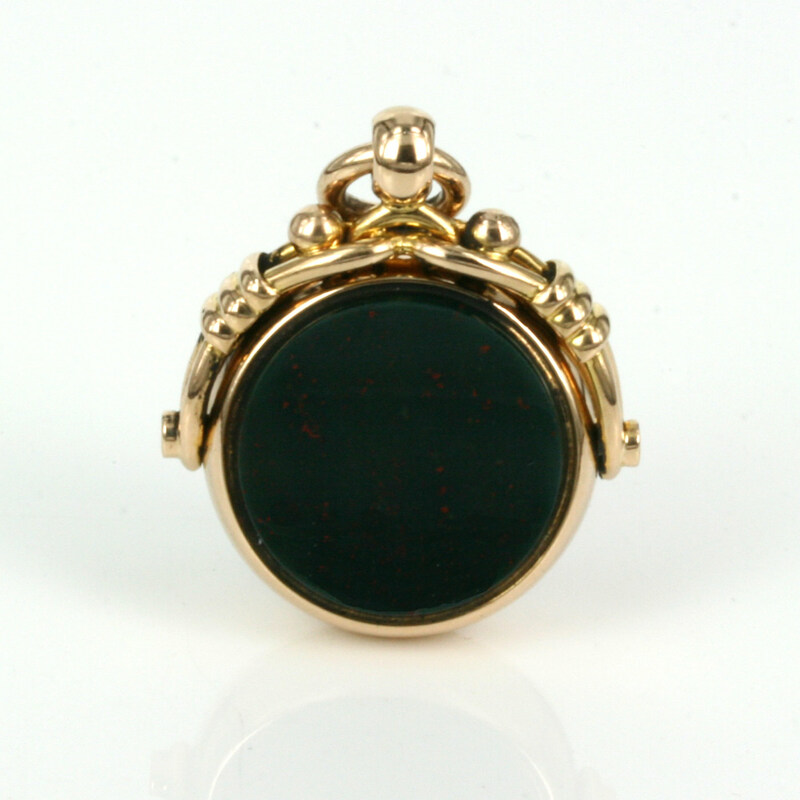 Product code: ES2352 Categories: Sold Items, Sold Jewellery. 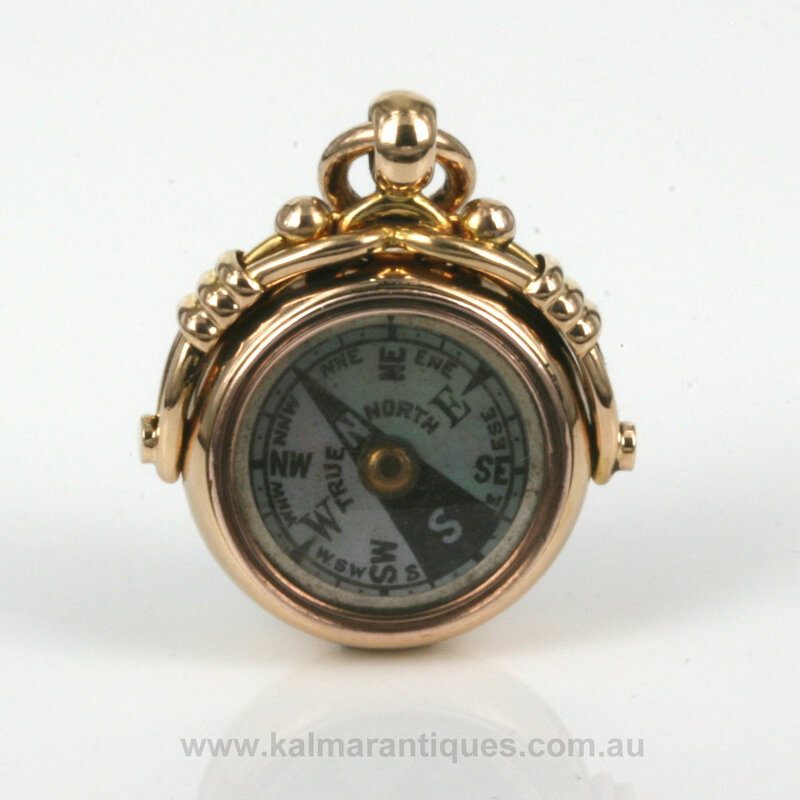 Here is a very elegant antique spinner that has a compass on one side and bloodstone on the other. Made in 18ct yellow gold in Birmingham in 1909, this lovely Edwardian era spinner would look so good attached to a chain and is so versatile with the two different sides. 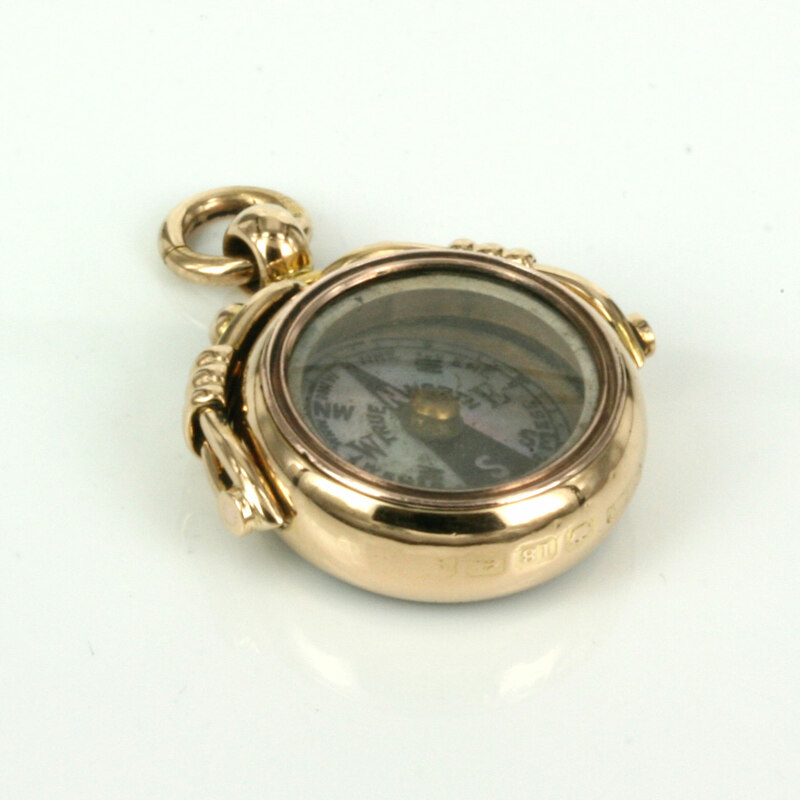 On one side is of course the compass which is still functioning and on the other side is bloodstone. Spinners or swivels as they are also called are most often normally found with bloodstone on one side and carnelian on the other so this one is very special and unique indeed. From left to right it measures 25.7mm across by 29.7mm to the top but not including the ring for the chain to pass through. Easily able to swivel from one side to the other, this is such an elegant and attractive example of an antique spinner that will always be a talking point.